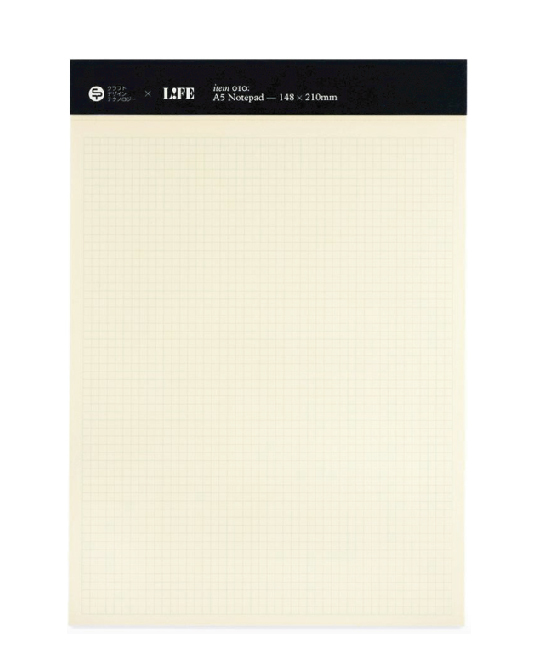 This notebook uses specially-made paper from LIFE CO.,LTD., which has brought back the original role of paper for writing, touching and viewing. 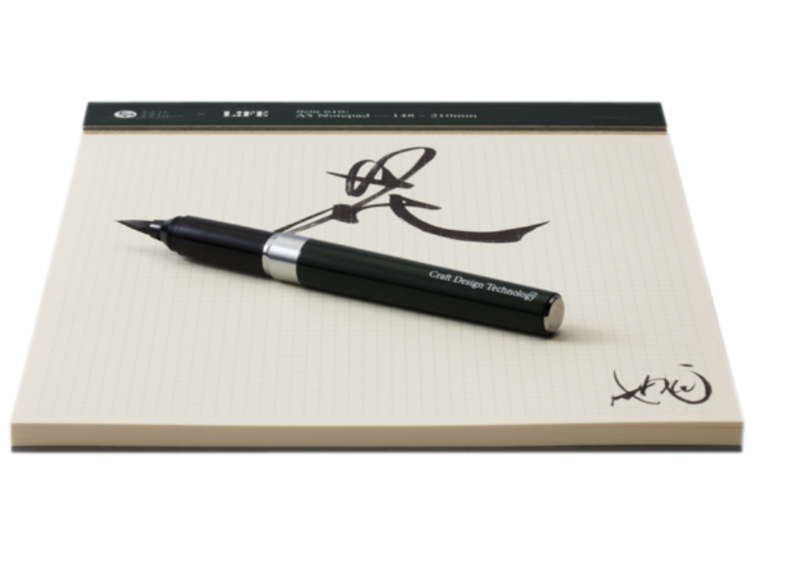 If one holds the paper in this product up to the light, a pattern resembling a bamboo screen appears, but yet each page uses only the best raw materials, is smooth to the touch, and offers the finest writing experience with little ink seepage and bleeding. The non-intrusive 3mm-thick graph lines are colored a whitish green, the brand color of Craft Design Technology, and are rather easy on the eyes. The use of blackish green, a traditional color of Japan, for the spine creates a contrast against the gentle appearance of the pages. 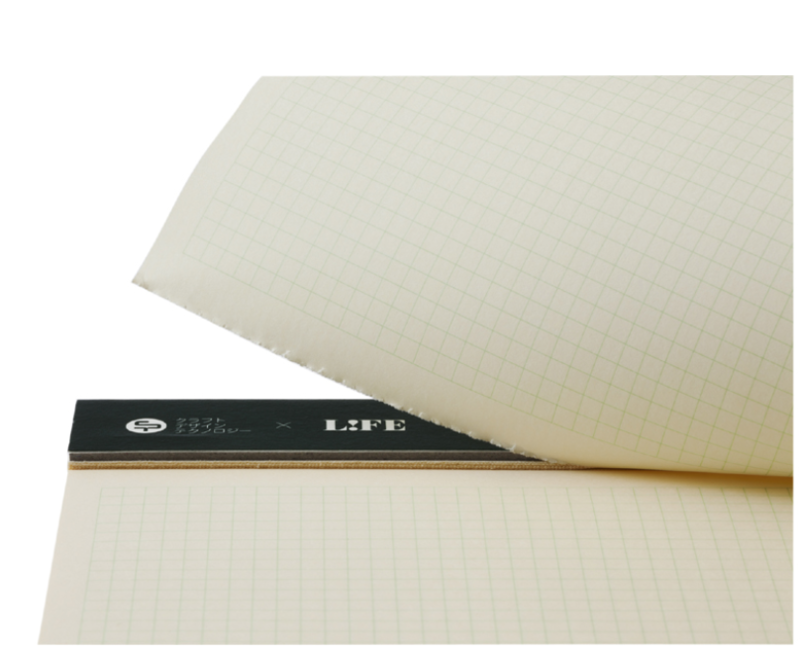 The perforated lines below the binding allow for easy removal of each written page. The techniques of craftsmen appear in every aspect of this product, from the manufacturing of its paper, to its binding and finishing work. 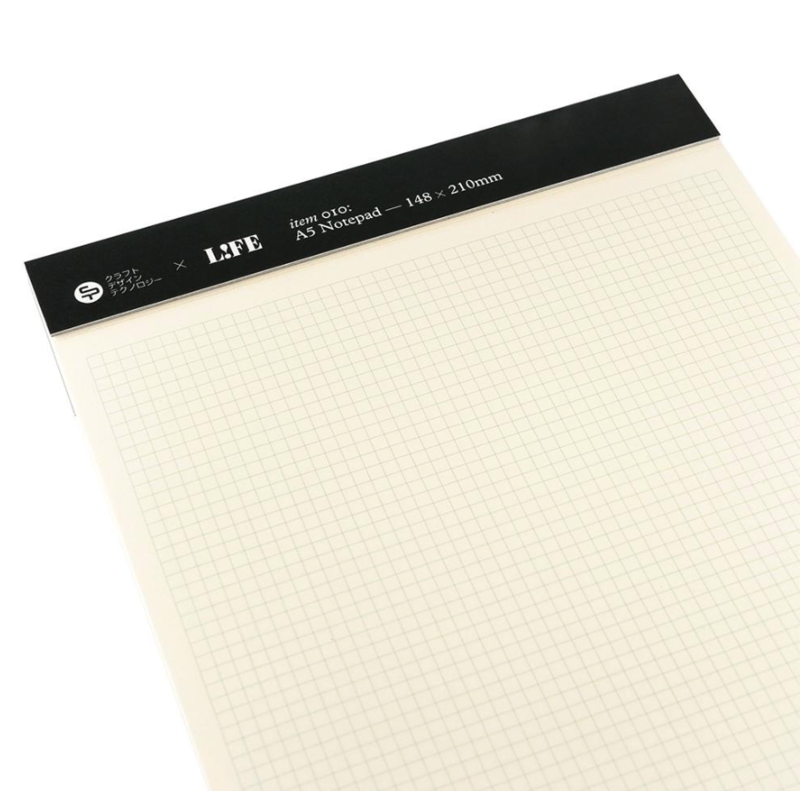 It is half the size of standard A4 paper making it easy to carry, but also large enough to offer a comfortable writing space. 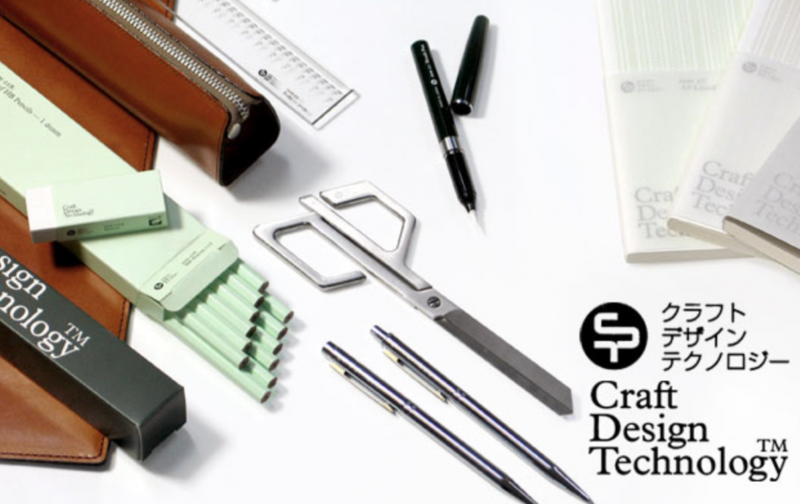 This notebook isn't simply comfortable to use and touch, it is also combines a refined design we've come to expect from Craft Design Technology.